Hi everyone! 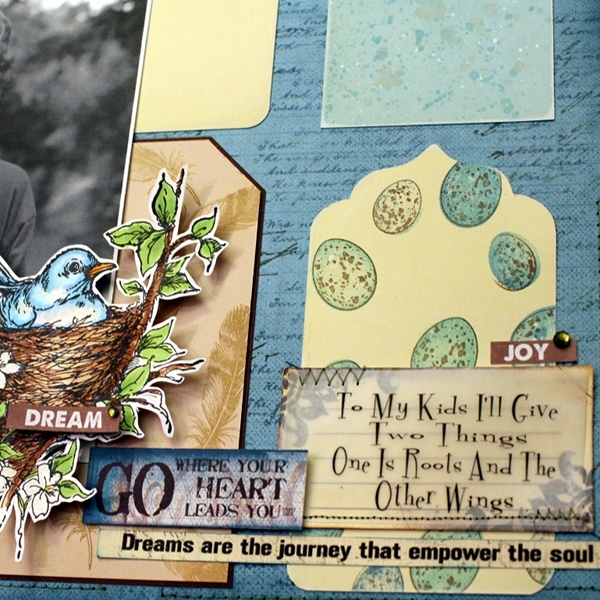 Wendy here with a layout using the new Stowaway 6x6 paper pads and Kiwi Lane Designs Tag Templates. 1. Using the Kiwi Lane Tags Templates, cut 6 tags from the Stowaway 6 x 6 plain papers. 2. Stamp on 4 of the tags. 3. On the remaining 2 tags, splatter with ink to create a bird egg appearance. Press Powder Puff Chalk Ink pad onto craft mat, spritz with water and use this as the watercolor to splatter. 4. Trim pattern paper 1/4 inch on two sides. Adhere to white cardstock and add machine stitching randomly. 5. 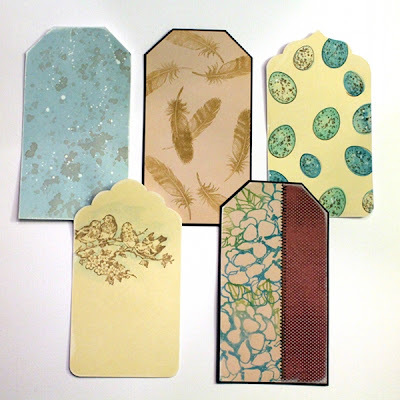 Adhere tags and photo to layout. 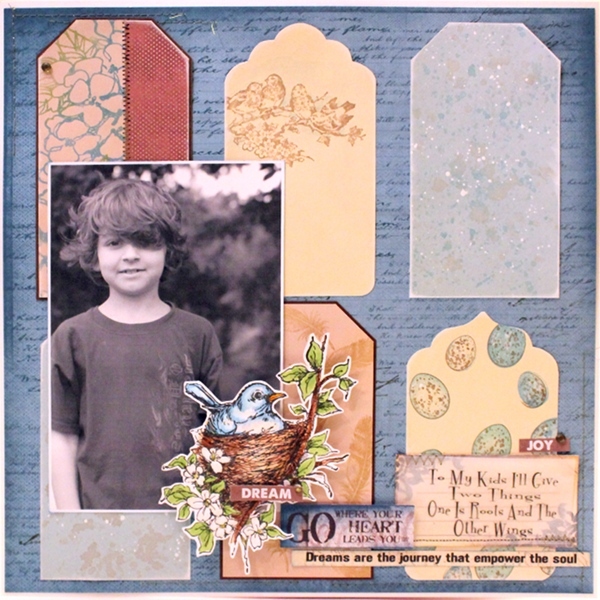 Embellish with sentiments cut from the Stowaway 6 x 6 paper pack, Stowaway stickers, stamped images and bling. Thank you so much for stopping on over! Happy April to you! Great LO. Really like the masculine feel to it. 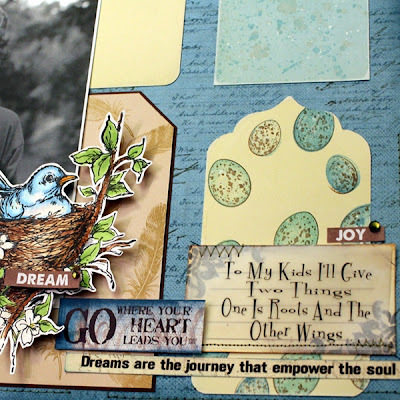 What a great way to use tags on a layout! Amazing design! The patterned tags are so fun! Great design! Love the way you created each tag differently! Great layout!